"GitHut 2.0 is an attempt to proceed the githut.info project. GitHub is the largest code host in the world. 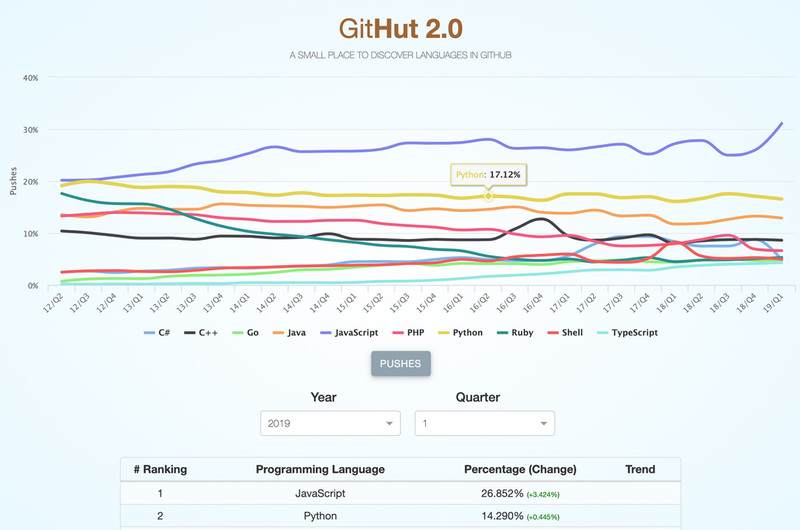 By analyzing how languages are used in GitHub it's possible to understand the popularity of programming languages among developers and to discover the unique characteristics of each language. GitHub provides a public API to interact with its huge dataset of events and interaction with the hosted repositories. GitHub Archive goes a step further by aggregating and storing the API data. The quantitative data used in GitHut 2.0 is collected from the GitHub Archive dataset via Google BigQuery."